Getting in touch is simple, scroll down and complete the form, or call 0161 872 7745. Quotation requests are normally reviewed the same day. If your price is very urgent, please call us to discuss, we can setup and quote some cartons whilst on the phone. 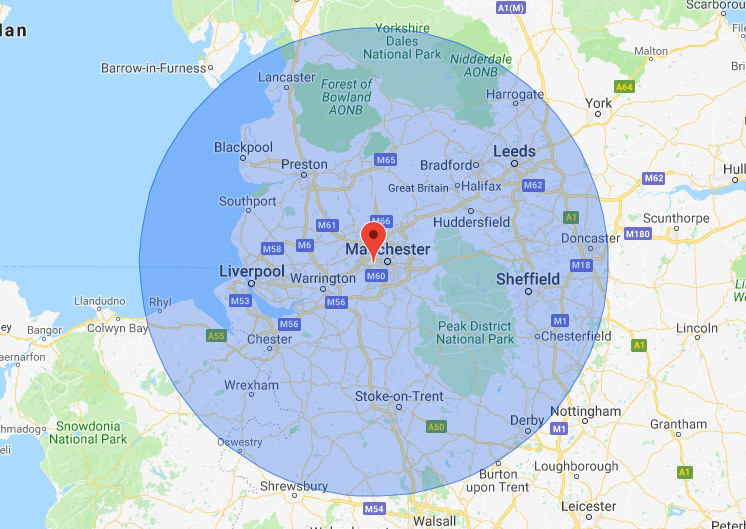 While we typically cover the area shown in the map, please call us if you’re near to our service area to discuss the details of the boxes you require. If you don’t know the answers to the questions, or you’d just like us to get in touch with you, feel free to leave any of the fields blank.